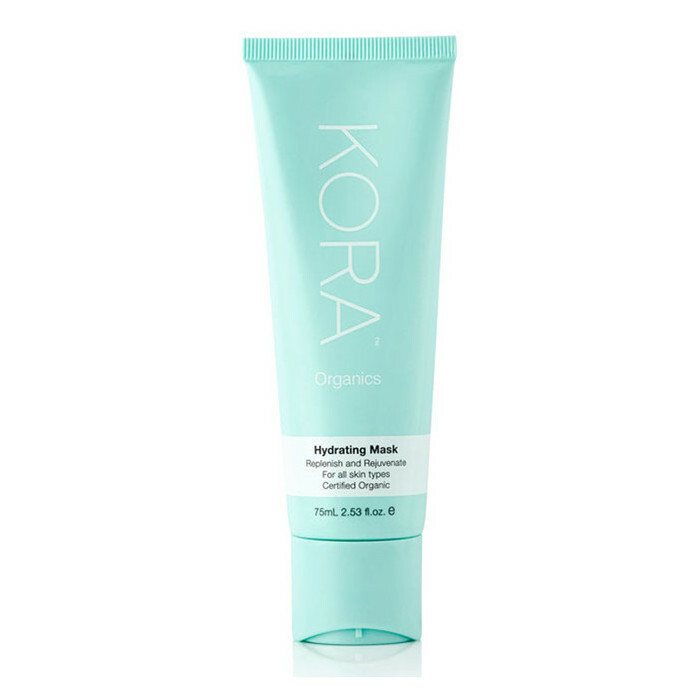 Give dry skin a boost of energy with this Hydrating Mask for KORA Organics. This is a creamy formulation designed to deeply hydrate the skin and help to reduce the appearance of pores. It is made with Noni Extract, Aloe Vera and Rose Water which work together to rehydrate and promote healthy tissue rejuvenation. Made in Australia, Certified Organic, Certified Cruelty Free & Vegan. Aloe Vera, Rose, Rosehip Oil, Sunflower Oil. Aloe barbadensis (Aloe Vera) Leaf juice*, Rosa damascena (Rose) Water*, Glycerin^, Kaolin, Olivoyl Hydrolyzed Wheat Protein, Cetearyl Alcohol, Glyceryl Oleate, Glyceryl Stearate, CI 77891 (Titanium dioxide) & Silica, Helianthus annuus (Sunflower) Oil*, Rosa eglentaria (Rose Hip) Oil*, Sodium PCA, Trehalose, Glyceryl Caprylate, Morinda citrifolia (Noni Fruit) Extract*, Sodium Hyaluronate, Persea gratissima (Avocado) Oil*, d-alpha Tocopheryl Acetate (Soyabean derived Natural Vitamin E), Rosa damascena (Rose) Oil*, Santalum spicatum (Sandalwood) Oil*, Cedrus atlantica (Cedarwood) Oil*, Pogostemon cablin (Patchouli) Oil*, Xanthan Gum, Benzyl Alcohol, Dehydroacetic Acid, Carrageenan, CI 77288 (Chromium Oxide Green), Lactic Acid, Potassium Hydroxide. *Ingredient from Organic Farming. ^Made from Organic Ingredients. 98.4% of the total ingredients are from Natural Origin. 77.1% of the total ingredients are from Organic Farming. Completely cover the face and neck, avoiding the delicate eye area, and leave for 5-10 minutes. Then rinse with tepid water and a face cloth, and pat dry. Nice but far too overpriced.